Healthcare@: Let your CONSERVATIVE Voice be Heard! March 4 & 15! Let your CONSERVATIVE Voice be Heard! March 4 & 15! Victory belongs the those who SHOW UP! You see the reports of the progressive left showing up at Town Halls! You see the media hyping the #Resistance against Donald Trump and our agenda! You see elected conservative officials from President Trump on down being scolded, ripped, and harassed in every way imaginal! We CANNOT let our VICTORIES slip away at this point! Please join one or both of the following 2 events to show the strength of our support! Fill your car and head to Washington DC or a site near you! The Tea Party Patriots will partner with FreedomWorks to host a grassroots lobbying day on Capitol Hill. Office visits are one of the most effective ways to make our voices heard in Washington, D.C. and to hold our elected officials accountable. 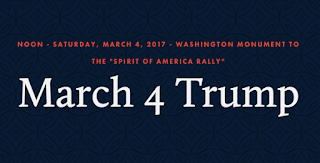 The primary focus of our lobbying day will be on repealing ObamaCare and confirming Judge Neil Gorsuch to the Supreme Court, although we may add other topics as the date approaches. 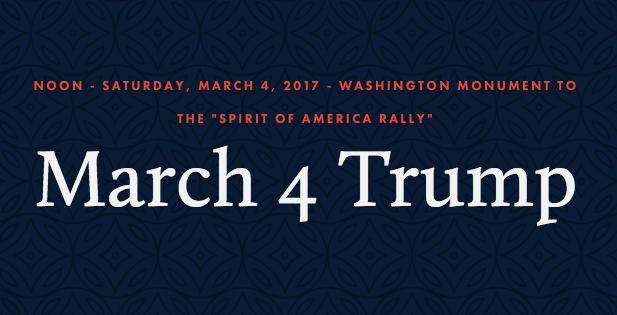 The committee hearing for Judge Gorsuch is set for March 20, which increases the importance of us being in DC together making our voices heard on March 15. Mark the date on your calendar! Freedom Works will provide a bus to Washington DC! Please register THIS WEEK! Bus information will be coming soon! Call me if you have any questions! We must register to get the buses necessary! We must let President Trump know he has our support! Please forward this information to as many contacts as you can! We must show the world that conservatives are behind President Trump and those who are trying to restore law and order and Common Sense to the USA!